Fresh blueberries here in Utah usually cost a small fortune. Being the thrifty gal I am, I always buy frozen. Frozen taste just as good, but they leave blue streaks in the dough. Fresh blueberries make for much prettier baked goods, that’s for sure. For some reason, fresh blueberries have actually been affordable this year. Last time I was at the store, they were $1.50 a pound. I was thrilled!! I stocked up, and I’ve been making all kinds of blueberry goodies. Combine flour, sugar, baking powder, and salt. Cut butter into dry ingredients till crumbly. Stir in milk, lemon juice, and zest till just moistened. Fold in berries. Pat into a circle about 1″ thick on lightly floured counter. Cut into 8 wedges. Place 1-2 inches apart on a lightly greased cookie sheet. Brush tops with milk. Bake at 400° for about 17 minutes or till golden brown. Cool slightly and drizzle with glaze. For glaze: Combine all ingredients in a small bowl. You may need more or less lemon juice to get the consistency you need. Keep shooting videos and don’t be afraid to experiment with your word track. 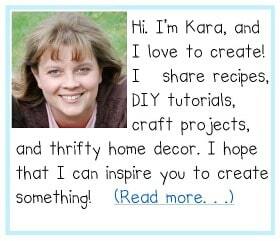 your business and you only pay when someone clicks on it to take them to your website. These types of lenders work great for home mortgages or refinancing opportunities. I made these scones this week. They were super delicious. I posted a photo of one of my scones on my blog today and linked your blog and recipe. Thanks for sharing this recipe! It was my first time making scones. My only suggestion to you on your recipe is to include a note that after you slice the dough in 8 sections, to separate the wedges on the baking sheet and then bake them. Since it was my first time making scones I thought when you said to place it on the baking sheet that it was to stay in a circle. When the time beeped and the center was gooey I did a quick internet search and discovered that scones should be separated on the baking sheet. I simply covered the scones with foil and baked until the centers were done. No harm done. I just think for newbies like me a clarification on your recipe to separate the scones might prove beneficial. Thank you again for the recipe! The scones were beyond delicious and I will make them again and again! WHAT is wrong with this recipe? Too much flour? Not enough milk? Left out the egg? Followed the instructions to the letter and got a dry, crumbly mess that I had to squish the blueberries into so they would stay. Not thinking these are going to turn out, and it’s a shame to waste expensive blueberries, as you pointed out. I made them again (twice) to make sure there wasn’t a typo in the recipe. Making the recipe as it is, I had to knead the dough a few times to get it to come together, but it worked. I also tried using 1/2 cup milk, but the dough was too wet and the scones split and spread apart while baking. They still tasted good, but they sure looked like a mess. I would recommend adding just a tablespoon or two of milk at the end if your dough seems too dry. You just don’t want to add too much. Good luck! I sure hope you didn’t have to waste your first batch. 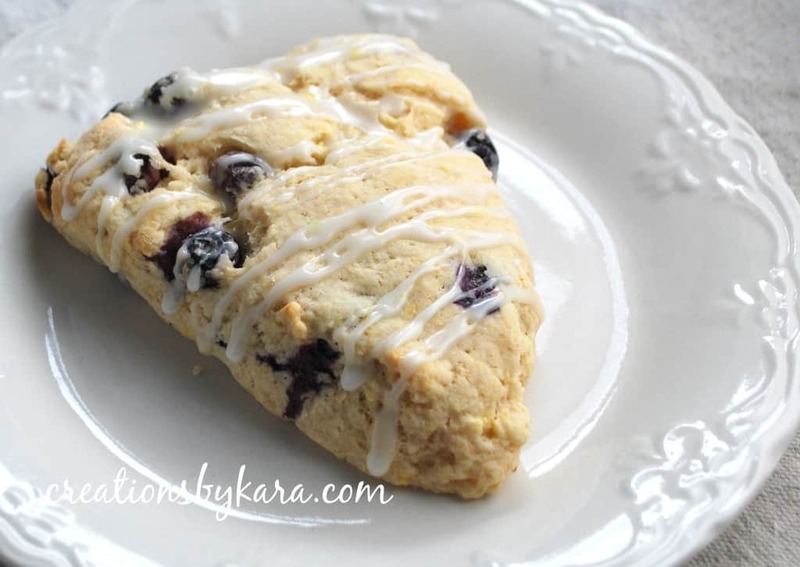 I just made your scones for a bridal shower I am hosting on Saturday….and they are AMAZING! I had to make a tiny portion of the glaze to taste one hot out of the oven for myself. 🙂 My 1st time making scones as well…not too shabby!! 🙂 Thanks for the recipe!! I’ve made these 3 times. They are simply: perfection in a scone! I tried this recipe just as written. Two cups of flour is way too much for the amount of liquid listed. As written, it was too dry. I increased the milk by a 1/4 cup, but still turned out tasting like blueberry flour. I would recommend another recipe. So glad you shared this. Can’t wait to try them. Hope you’ll come back to tasty tuesdays again! I don’t really have any cnkoiog books to share, but every time I hear the phrase “blueberry pancakes” I think of Francis England’s catchy children’s song, “Blueberry Pancakes” off of her Fascinating Creatures album. Have you heard it? Yummy. The lemon with it sounds delish. I’d love ya to share this with tasty tuesdays tomorrow. I love these scones! Fabulous!